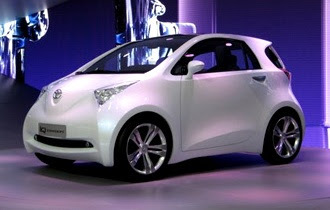 The production version of Toyota’s three-seat iQ will be rolled out in front of punters at next month’s Geneva Motor Show. Actually the iQ is more of a 3+1. 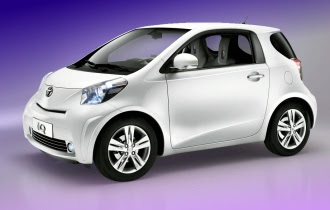 Just as 2+2 coupés tend to boast two proper seats plus two further seats for legless pixies, the iQ will offer three proper seats plus “room to spare to accommodate a child or carry luggage”, according to Toyota. In practice, carrying three full-size, fully limbed humans will require some juggling, with the front passenger seat sliding forward towards a scooped-out dash. How easy it will be to safely negotiate T-junctions with a passenger sitting a foot further forward than the driver remains to be explored. Toyota also says that its new tiddler “signals a radical shift away from the belief that small cars, although kinder to the environment, are inherently basic and less safe”. Which means that Toyota is confident that the iQ will post a respectable NCAP result, but that it ain’t going to be cheap. The new car will reportedly start rolling off production lines at the end of this year. We don’t yet know what will power it – we assume a small, three cylinder turbocharged petrol will sit under the snub nose driving the front wheels. Not much like it’s direct rival the Smart ForTwo, which of course has its three-cylinder engine and driven wheels at the other end. We also wonder whether Toyota will be tempted to rival Mitsubishi’s rear-engined, four-seat “i”, and experiment with a zero-emissions, all-electric version.